It’s funny. Sometimes you simply need a kick-in-the-gut to make you understand something you have already known for a while. Something needs to happen to force you to finally take some action, get out of your comfort zone. Well, it finally happened to me. I’ve been trapped in a convenient job, great location, stable, mostly fun and starting to get really quite boring. But it was OK, although the spark was missing for a long time. So what do we tend to do? take some action and make a change? why would we as long as everything is ticking along quite nicely, the job is paying, and overall it’s not that bad is it. Stuck in your comfort zone, afraid of a change, and looking at the positives (among the many negatives). And then, finally, out of nowhere, something quite bad happens at work. A little earthquake in the workplace, one that you cannot ignore anymore. For me it was an announcement on a few movements in management roles, promotions, and I wasn’t part of it. But what mostly striked me was that I wasn’t even part of the conversation, and haven’t even realised what was going on behind the scenes. So yes, I immediately realised, while struggling to fight off the little choke in my throat, that it’s time. Time to move on. Time to take action. Time to recollect thoughts and go back to the basic questions and aspirations. You haven’t been living your dream anyway, so here’s your chance to make a real change. So a couple of days later, after putting off all my negative thoughts and plans to assassin whoever did this to me, I eventually realised how good this actually is. This is great, this is awesome, and although it hurt quite a fair bit, this is just the opportunity I was waiting for. 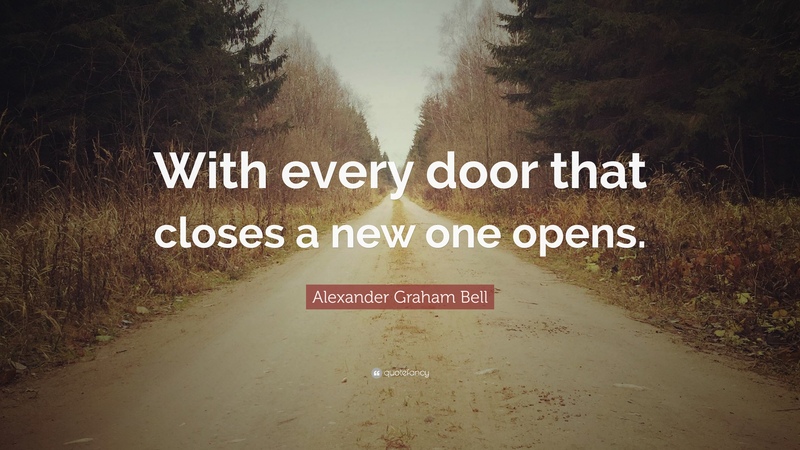 With every door that closes, a new one opens – all you need to do is find that open door. There could be more than one, and it’s simply out there, if you dare to open your eyes, take a deep breath, and start a new adventure. So this is roughly how this blog came to life. I always wanted to make it happen, all I needed was, apparently, a little setback, to shake things off and get me open my eyes and start looking for new opportunities. Have you ever felt like this before? Thank you for the kind words. We all get inspiration from one another as we go along. Good luck and all the best on your new journey. I will definitely be following.